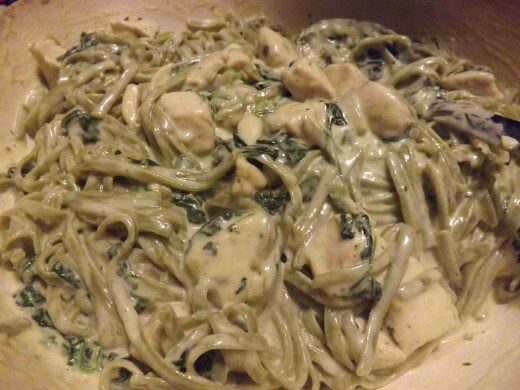 I made my usual fettuccine alfredo the other night, but with some healthy additions. 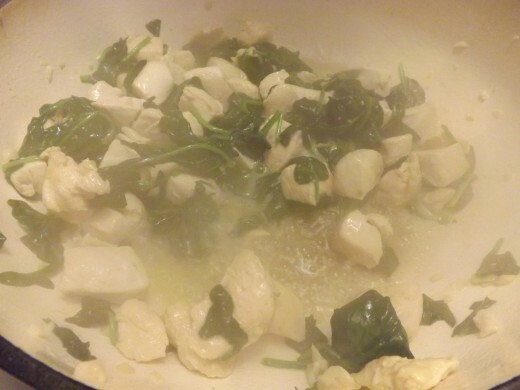 First I sauteed garlic and chicken breast with spinach then added my butter, cream, and cheese. I also used a combination of romano and parmesan rather than just parmesan cheese. 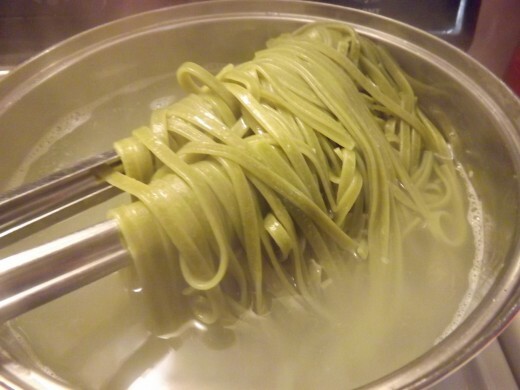 Then I tossed the finished sauce with a brand of pasta I had never tried before. These are the additions I made to my recipe this time around. 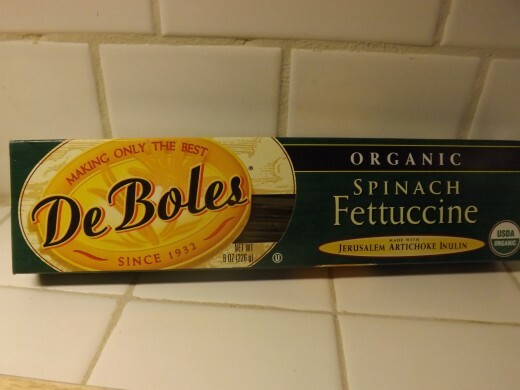 The pasta I used was DeBoles Organic Spinach Fettuccine. It’s made with durum semolina, though I prefer feeding my family whole wheat pasta these days. But I’ll try any product made with organic grains, even if they are lacking in fiber. As far as grocery store pasta goes, this one was of a higher quality. 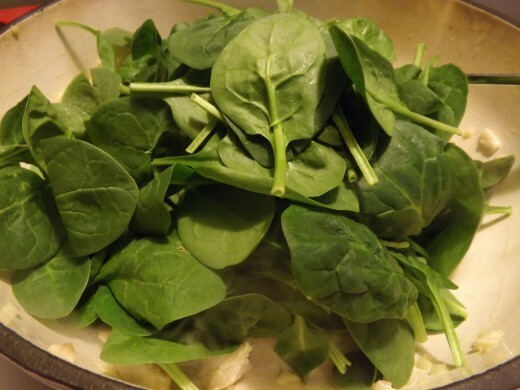 So many times when I buy “health” food I have to sacrifice flavor or texture. Not with DeBoles. And this version contained Jerusalem artichoke inulin which is believed to aid digestion, and lower blood pressure and cholesterol. All good things for my husband with his health issues. 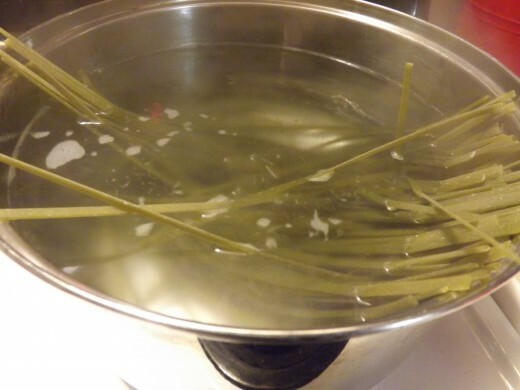 But the butter, cream, and cheese are not, so he gets a lightly sauced plate when I make rich pasta dishes. 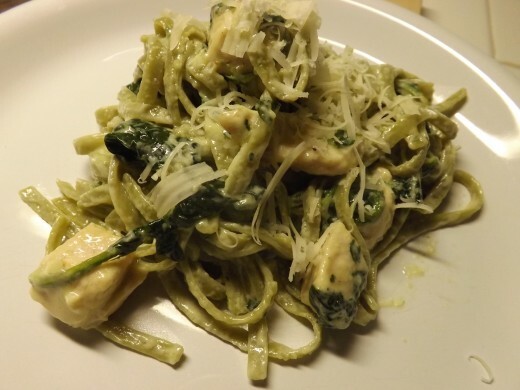 It was wonderful cooked to al dente with my alfredo sauce, and really nice to have traditional, yet healthy, pasta for a change, rather than the non-organic whole wheat I’ve been buying.